OLD CREAMERY – Help North Coast favorite Joanne Rand celebrate the release of her 11th CD, Live with Claudia Paige Saturday, Oct. 23 at 8 p.m. at the Arcata Playhouse (1251 Ninth St.). Celebrated drummer Claudia Page is the backbeat and frontbeat for Joanne’s fantastic new live album, and Claudia will be drumming with Joanne at this show. Join Joanne Rand, Claudia Page, guitarist Robert Franklin from Shin Bone, and singer Lorenza Simmons from AkaBella for Joanne Rand’s CD release party. Sponsored by KHUM, Radio Without The Rules. Admission is $12 at the door. Claudia Paige of Druid Sister’s Tea Party was picked in 2007 as one of 25 best female drummers from around the world and featured in Sweden Rock magazine, Drummers Digest and Sister Rock. 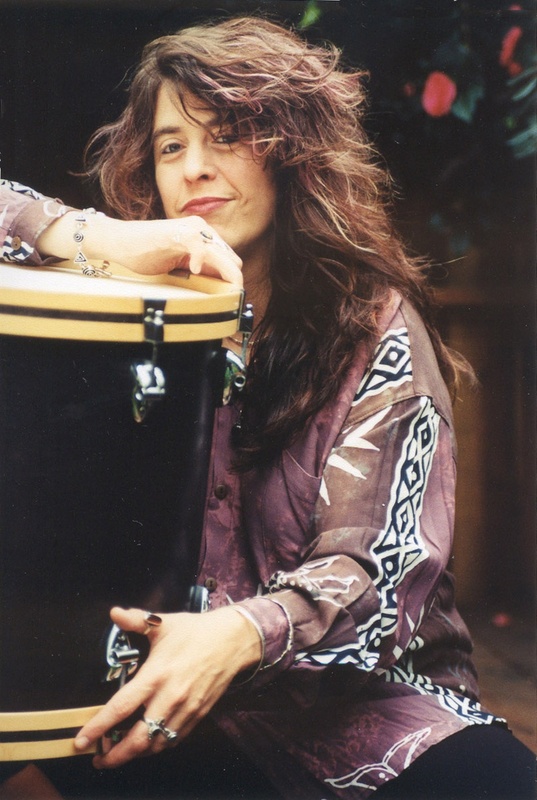 She has played with such greats as Jerry Garcia, Tito Puente, Ray White of Frank Zappa, and shared bills with Ani DiFranco, BB King and Natalie Merchant, to name only a few. She hails from Mendocino, has toured nationally for more than 25 years and has been playing since she was 12. Writing and playing music since her childhood in the Deep South and touring for 25 years, Rand has led a varied life. She cut her performance teeth playing bluegrass in Alaska, spun musical magic with natives in the heart of the Amazon, immersed herself in the Chicago blues and art scene, haunted folk and classical venues in London. She spent several years as a remote wilderness homesteader in the Pacific Northwest, composing songs while perched in trees, wheel-barrowing her keyboard over the ridge to tour nationally. She fully launched her career in the North Bay Area of California in 1990, where she remains revered as one of the region’s finest independent artists, eliciting comments such as: “Legendary… longtime local hero” (North Bay Bohemian 2010). “Nothing short of brilliant.” (Santa Rosa Press Democrat). During the 1990s, Rand moved to Seattle where she helped to anchor the city’s thriving music scene, collaborating with her brother, Jordan Rand. 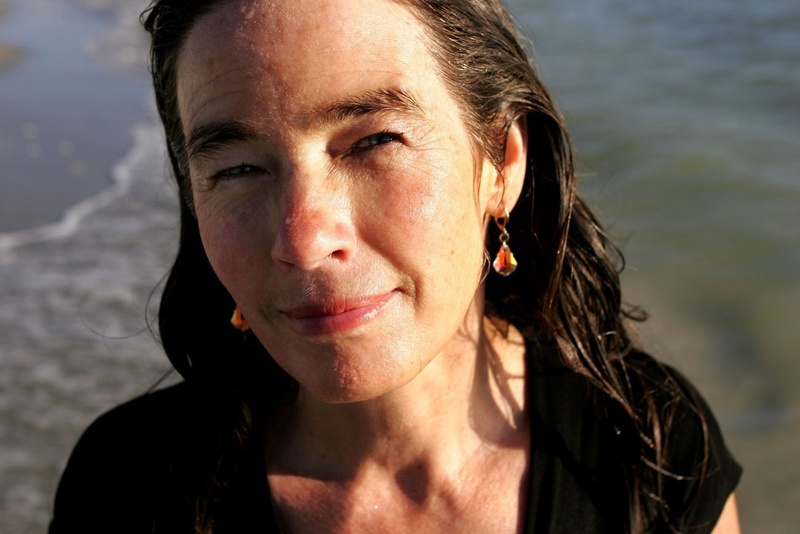 Her work champions the underdog, grassroots, deep ecology, seeks to heal the human condition and nurture a broader view. She is now in Arcata, raising her daughter, teaching, composing, touring and launching her next recording. “Still fierce, still insightful, still inspired…wild and free for a long time to come.” (Eugene Weekly, 2009). “A work so layered and complex it’s hard to call it folk music with a straight face. But at the core…Rand’s substantial, grounded songs remain.” (Eugene,OR Register Guard, 2009). This entry was posted on Saturday, October 23rd, 2010 at 8:44 am	and is filed under Scene, Featured. You can follow any responses to this entry through the RSS 2.0 feed.